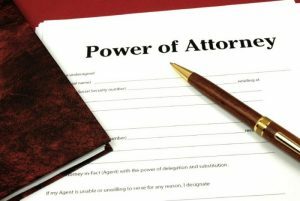 A power of attorney is a legal document in which the person making the document (“the Principal”) nominates and gives legal authority to a nominated person (“the Attorney”) to act on their behalf with respect to their financial affairs. A Power of Attorney is just as important as the making of a Will, however many people don’t consider the making of a Power of Attorney until it is too late. Many people incorrectly correlate a Power of Attorney with older age, however this is not always the case. A Power of Attorney can be used in a variety of circumstances such as an extended overseas or domestic trip, a lengthy stay in hospital or for a time when a person can no longer manage their own financial affairs. a. General power of attorney: A general power of attorney is where you appoint someone to make financial and legal decisions for you, usually for a specified time. This type of power of attorney is usually used when someone goes overseas for an extended period of time and may need someone to access their bank account or manage their financial affairs in Australia, or where someone may be in hospital and are unable to get to the bank. It is important to note that a general power of attorney ceases to be operational as soon as the principal is deemed to have lost the mental capacity to make decisions and attend to their own affairs. This can be via a doctor’s diagnosis. b. Enduring power of attorney: Unlike a general power of attorney, an enduring power of attorney does continue if the principal has been deemed to have lost mental capacity to attend to their own affairs. This type of power of attorney is generally used by those who are wishing to have their legal affairs managed by a trusted nominated person upon being deemed mentally incompetent. It is important to note that neither the general power of attorney nor the enduring power of attorney allows a nominated person to make decisions on behalf of the principal in regards to personal, medical or lifestyle decisions. For this to occur, an Enduring Guardianship document needs to have been signed by the principal prior to them losing capacity to do so. Whilst no one wants to think about the day where we may not be in a position to make our own decisions in regards to our financial and legal affairs, in some tragic instances this day comes quicker than ever anticipated. A power of attorney can only be legally entered into if the principal has the full mental capacity to give instructions to nominate someone. If the principal has Alzheimer’s for example and it is held that they do not have capacity, then no legal power of attorney can be drawn up. This is the same as if someone has received an acquired brain injury following an accident. Should a person not have a valid power of attorney when they are no longer able to manage their financial affairs, the NSW Civil & Administrative Tribunal (NCAT) may have to appoint a financial manager to make these decisions for you. This will require a formal NCAT hearing where evidence will be heard as to whether the person in question has been deemed to have lost mental capacity and requires a financial manager. Whilst the NCAT has an obligation to take the principal’s wishes into account, the ultimate decision rests with the Tribunal meaning that the financial manager appointed may not have been the person the principal would have chosen. This decision could potentially cause stress not only to the person in question but to the family as well. The benefit of having a nominated person prior to losing capacity is that it is a person that is trusted by the principal to act in their best interest. Making a Power of Attorney involves drafting a formal document which gives a nominated person the authority to make financial decisions on behalf of the principal. The attorney will be required to agree to their appointment by signing the acceptance section of the prepared form. Whilst Power of Attorney DIY kits are available at places such as a newsagent or post office, it is recommended that legal advice be sought in regards to preparing a power of attorney. Rafton Family Lawyers charges a fixed fee for the preparation and signing of the power of attorney documents. A Power of Attorney is a legal document and it is important to ensure it accurately reflects the principal’s wishes and requirements. Unless the principal wishes for the attorney to deal with real estate on their behalf in NSW a Power of Attorney does not require registration. If the principal intends for the attorney to deal with real estate in NSW, then the Power of Attorney will need to be registered with the Land and Property Information Division of the NSW Department of Lands. This incurs a small fee. Of course, the benefit of a registered Power of Attorney is that it is recorded as a public document and may be more readily accepted as evidence. This does not mean that an unregistered Power of Attorney will not be accepted. It is important to store your Power of Attorney in a safe place and to provide your Attorney with a certified copy. It is also a good idea to provide copies to your bank, retained solicitors and accountants. If a principal wishes to revoke a Power of Attorney, the principal must inform the attorney, in writing, of their decision to bring the appointment to a conclusion. Banks and all relevant businesses should also be notified of the revocation. In the event the Power of Attorney was registered, the revocation should also be registered.